Malware Battle: "Apple's Siri Personal Reveals"
Users with an iPhone or iPad who appreciate their privacy, the voice assistant Siri better off if they do not use it. 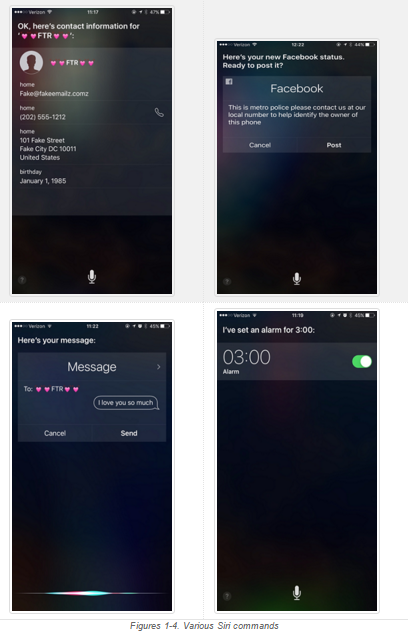 Experts Trend Micro maintain that someone on an iPhone or iPad when Siri is activated within 30 seconds after the full name, email, phone number and profile picture may come. It does not matter whether the device is locked. Who has a phone in hand, with his voice can retrieve all kinds of information, such as name, contact information and even calendar appointments. By the command 'what is my name' to speak of, for example, Siri intones the full name of the owner.And so there are a number of assignments which Siri, even if the smartphone or tablet is blocked. It is, according to Trend Micro a weakness of Siri where users already longer complain on Internet forums. According to Trend Micro not only the privacy of the owner of the iPhone or iPad at stake, but also the contacts of that person. Apple late in a response to the security company that Siri users can disable it on a locked screen. This can be done via the Settings menu and then using the "Touch ID & password 'option and then' Siri '. As the personal assistant can be switched off.